Hope you all having a great weekend so far! Mine are filled with cooking activities more nowadays since it seems more appropriate with the rain and cold here, nothing I rather do than filling up my tummy with delicious food and watch some good movies in the comfort of… my own couch. In fact, I’m watching a great Korean series as we speak, “Oh, My Venus.” This one has everything I love about a movie, hopelessly romantic, funny, and a bit of beauty transformation. Instead of letting me ruin you with the details, I’m strongly recommend this one. You will NOT be disapointed! Thanks so much for stopping by and have a great week ahead! Love Korean drama so will definitely check out your recommendation! 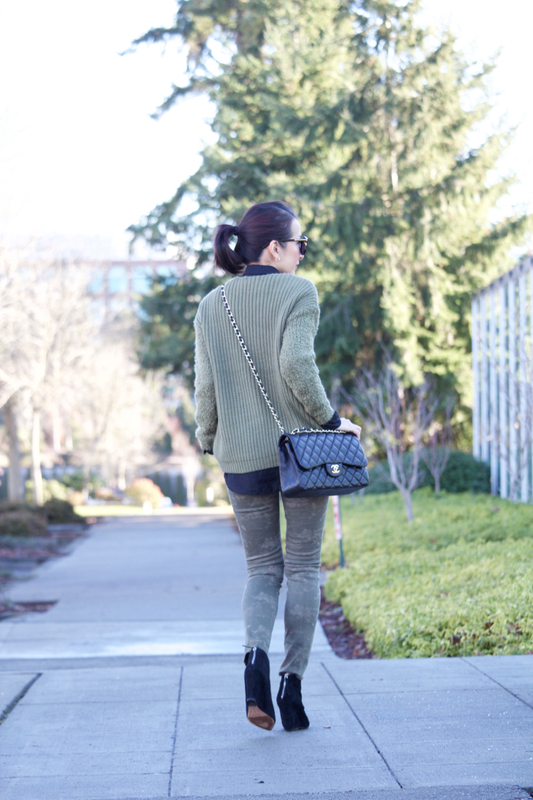 And the effortlessly chic style of this olive and grey outfit looks so beautiful on you!